MODULAR HOME BUILDER: Is the Time Right for the Modular Medical Cottage? Is the Time Right for the Modular Medical Cottage? 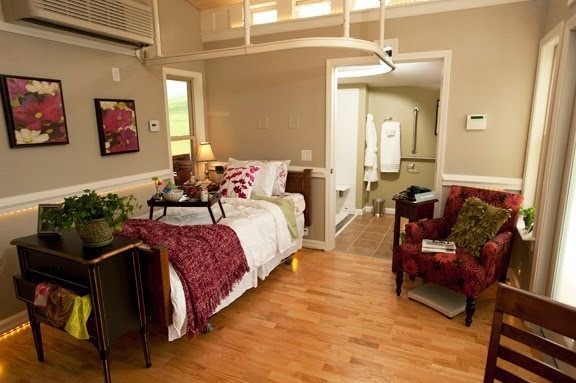 A couple of modular home factories throughout the US, especially Nationwide Homes in the east, have been trying to promote medical cottages as an alternative to having mom and/or dad put into a nursing home. So far the movement hasn’t gotten on its feet to any extent but this month’s AARP Bulletin features a story about all the apps and equipment that can be added to existing homes to allow caregiver’s peace of mind. 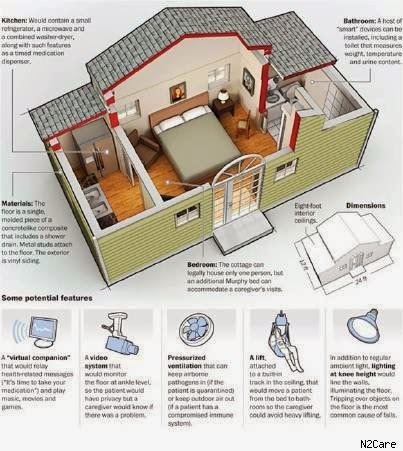 One of the logical conclusions you can make beyond a caregiver wiring their parent’s home and monitoring everything that is happening through their smart phone is a medical cottage placed beside the caregiver’s home that becomes an extension of the home. With all the same equipment already installed by the modular home factory that can be found in a good nursing home room, these units can be moved to another caregiver’s home to be used again. Currently the zoning laws in almost every community in the US don’t allow this type of unit to be set temporarily and tied into the existing home but there is growing pressure to allow it. When AARP decides to take up the medical cottage as alternative way of life for its members, the pressure will be on federal government to begin making the changes necessary. Every modular factory is looking for the next best thing and the medical cottage just might be one of them. I am going to begin featuring articles about this unique opportunity for our industry and if your factory is currently offering or has built this type of unit, please send me the details. 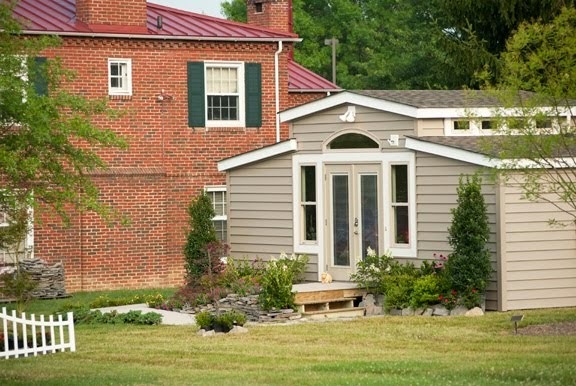 If AARP is beginning to see the end of nursing homes on the horizon, they have to be replaced with something and that could be modular medical cottages. This is not a new idea at all. I worked with Silvercrest in CA to develop a series of plans for this market back in 2005. We have been building them since then. You can see many examples on my website www.valleyhomedevelopment.com or on my blog www.backyardhomepros.com. Since the downturn shut Silvercrest down here in No. CA we have been building them with Skyline and as panel kits for the smaller units. Please set the record straight. All the pictures shown in this blog post regarding medical care cottages are the product of Cardinal Homes Inc. of Wylliesburg, Virginia, not Nationwide Homes which you referred to in your post.